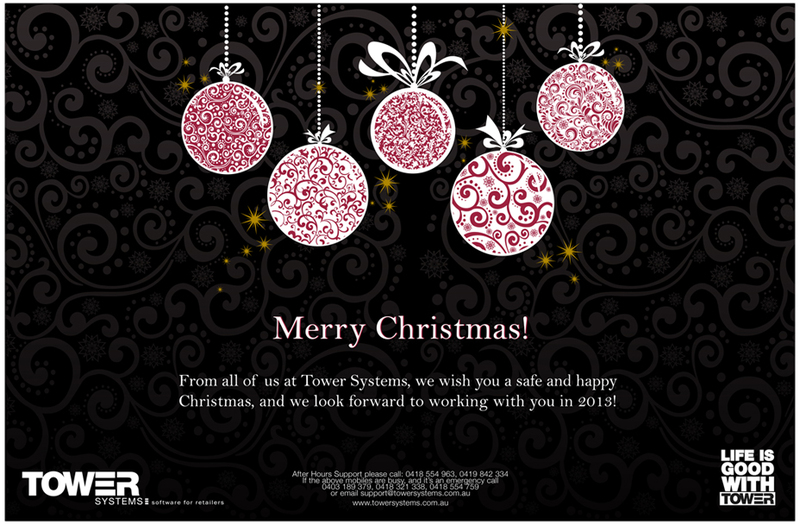 Christmas greeting email for POS software users | Tower Blog | A blog about smart POS software for independent small businesses. We sent out a Christmas greeting to all of our Point of Sale software customers late last week with a note of appreciation for support this year. We also included a reminder of after hours support numbers. While it’s terrific to party and relax this time of year, we understand the importance of the season to our retail customers. Our commitment to delivering good customer service is unwavering.